Most leaders have been bombarded by the idea that business partnerships are vital to their success. Partners can extend a company’s reach, add new audiences, enhance its value, expand its capabilities, and even boost its reputation by association. Marketing Week pointed out that behemoths like Amazon and Adidas have grown larger as a result of their partnerships — Adidas increased its brand value by 50 percent, mainly thanks to its expanded roster of partners, while Amazon notched a $208 billion brand value rating as a result of its partnerships. Bringing brands like Whole Foods under the Amazon umbrella powerfully changed the company’s sphere of influence. The problem is that while many leaders know they need to pursue partnerships to strengthen their businesses, it’s not clear how they can distinguish capable, dynamic partners from lackluster ones. What’s good for one company can be disastrous for another. Luckily, there are a few ways to determine which partnerships will fuel sustainable growth. 1. Look for partners who share your values. Partners who share values may have different methods of fulfilling their needs, but they don’t lose sight of what’s important. Aiming for the same goal also means your business’s chances of achieving its end game are higher — with another force behind its efforts, it’s less likely to lose momentum or pivot without deep analysis. FutureFuel, a fintech platform that enables employers to help employees pay down their student debt, joined forces with partners who shared its goal of eliminating financial roadblocks. By partnering with companies like Colonial Life, FutureFuel underscored its commitment to streamlining student debt repayment and made it easier for employers to participate. “Every employer we speak to understands that multiple generations of employees are struggling with student debt,” FutureFuel’s founder and CEO, Laurel Taylor, says. Its partnerships, combined with its platform, empowers the brand to more quickly touch a larger number of those employers. 2. Cultivate partnerships that are equal. Preferences and tendencies don’t necessarily have to be equal within a partnership; a partner with a higher risk tolerance can balance a partner averse to risk. But when other factors — such as money or clout — take precedence and allow one partner to steer the ship, it can damage the entire partnership. The relationship has to be built on collaboration and discussion rather than unilateral decision-making. 3. Pinpoint partners who are enthusiastic and polite — but not too polite. Besides values, one thing that will sustain a long-term partnership is motivation. Partners who not only share values, but also goals beyond them — such as becoming the go-to provider, building a $100 million company, or establishing a household name — will thrive. But virtual strangers who enter into partnerships can fall into the habit of being polite — so polite that they hide their true interest in a project or effort until their waning enthusiasm torpedoes the whole endeavor. Strong partners may provide a lot of capital, expertise, or visibility. 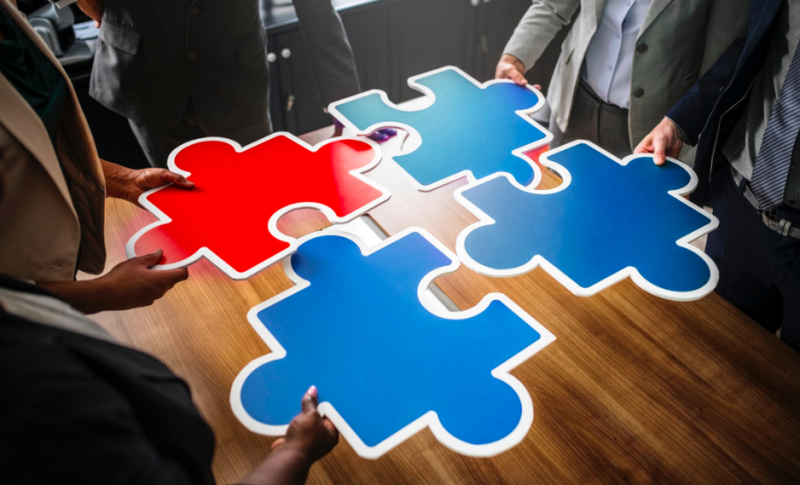 While those factors can vary, shared ideologies and equal standing have to exist for partnerships to truly help a business grow. In their absence, one partner will be left holding the bag — and that’s exactly what great partnerships were built to avoid.